Recently an art dealer made a stunning discovery at an American estate. 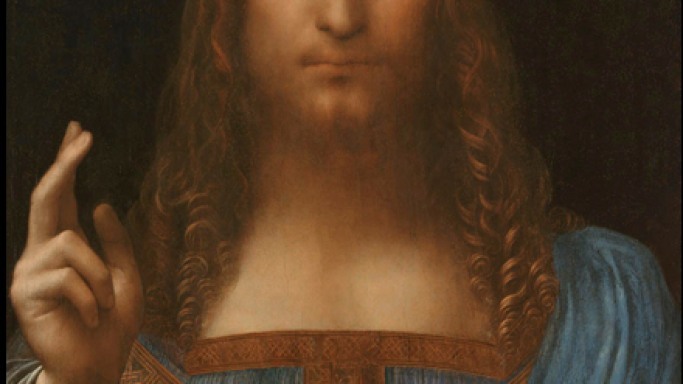 The art dealer revealed that a beautiful Leonardo Da Vinci Painting was sold off the previous year in a privately conducted auction for an exorbitant sum of more than $75m. The magnificent portrait of the artist's oil-on-panel “Salvator Mundi” is a half-length size painting that showcases Jesus Christ holding a crystal orb in his left hand. Reports in the media confirm that apparently it had been owned by a consortium which includes the names of popular art traders Alexander Parish and Robert Simon. The heavily restored painting which dates back to the year 1500 was sold off to an unidentified collector in May 2013. However each and every detail of the transactions has always remained guarded from the general public owing to a strict confidential clause. It was only recently when the secret deal was disclosed by trade insiders of the likes of the London art dealer Anthony Crichton-Stuart. In a statement released to the press Mr. Stuart further revealed that since it is a grand painting composed by a highly respected artist, its exorbitant price tag is completely justified. The 26 inch high “Salvator Mundi” was once acquired by Mr. Parish during the early 2000's for a yet undisclosed sum. Another study also reveals that following several research studies and cleaning processes, the beautiful painting has been revealed as an authentic Leonardo da Vinci masterpiece. It was even formerly owned by King Charles I of England. Interestingly this grand work of art has been displayed in many famous exhibitions like the “Leonardo da Vinci: Painter at the Court of Milan” exhibition that was conducted at London’s National Gallery from November 2011 to February 2012. However Sotheby has not posted any comment regarding this matter since it is against their operating rules of passing comments on any of its private sales.